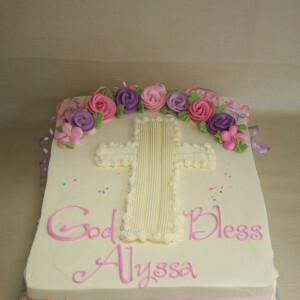 This design features a 2 tier cake with bottom tier as full cover rosettes in vanilla buttercream. 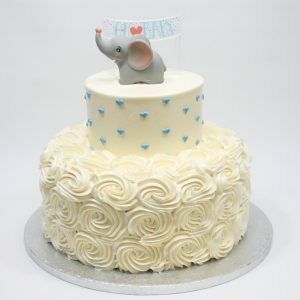 Top tier customer’s choice 1 color Swiss heart design with plastic elephant topper. 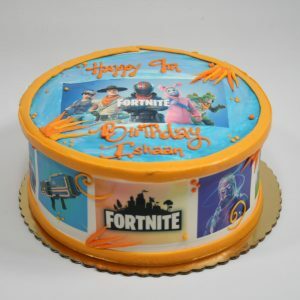 Topper available depending on inventory. 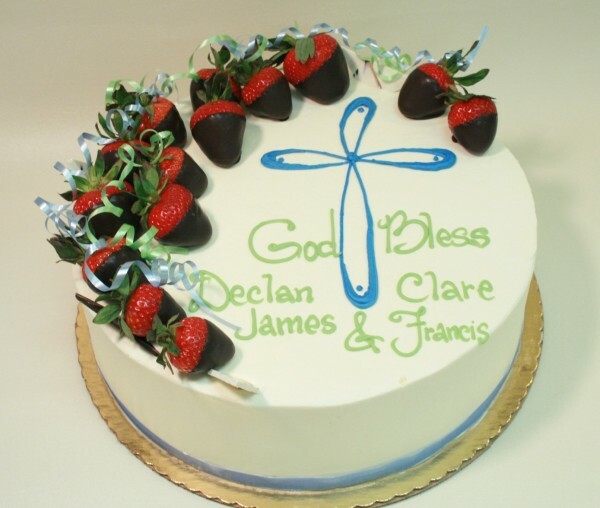 Shown as a 6″& 10″ 2 tier with cw blue hearts. 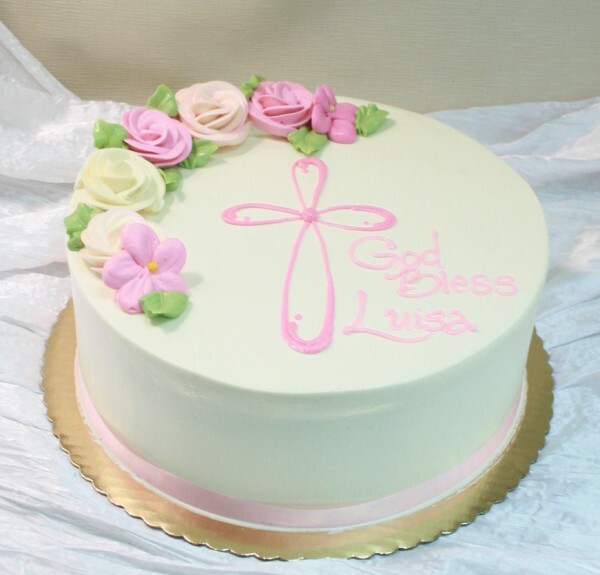 Available with 5 days notice, limited availability with 24 hours notice. 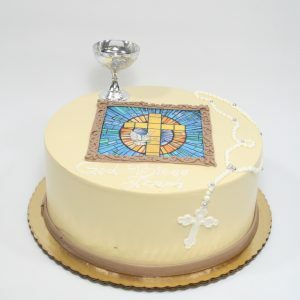 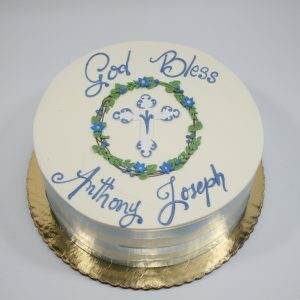 This designs features buttercream frosted cake available in Light Sage, Light Blue, Light Pink & Matte Gold with stained glass edible image, plastic chalice and buttercream rosary. 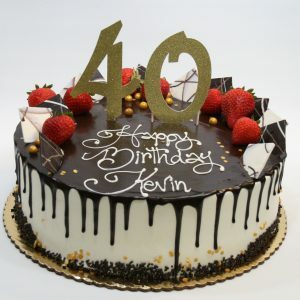 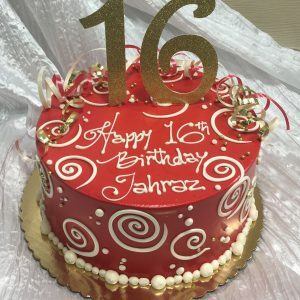 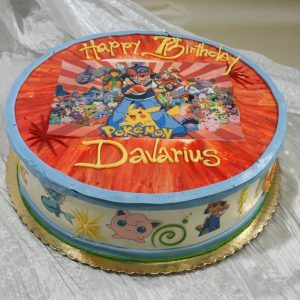 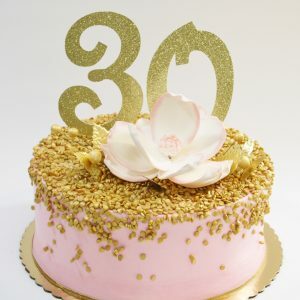 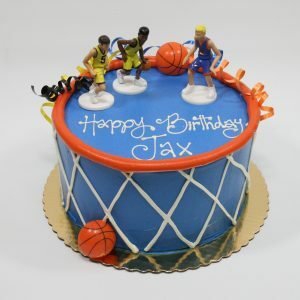 Shown as a 10″ round cake with matte gold buttercream. 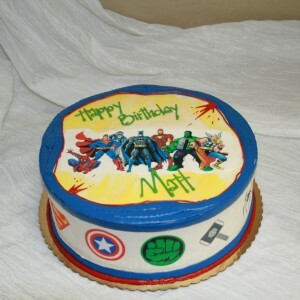 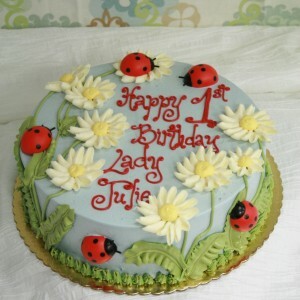 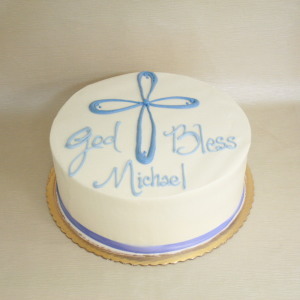 Design features vanilla buttercream frosting, in customer’s choice color, with white swirls & dots design. 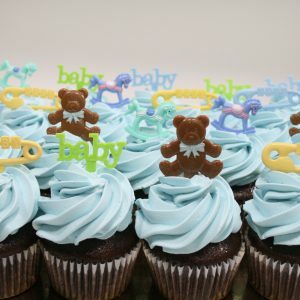 This design features customer’s choice 1 color frosted cupcakes with chef’s choice mixed baby decor picks. 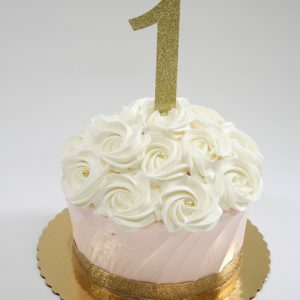 Pricing based on a minimum order of 12 cupcakes. 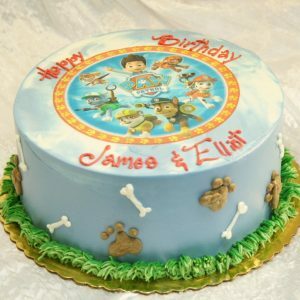 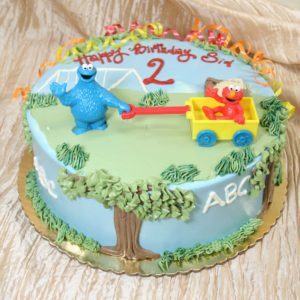 Shown in Light cw blue frosting. 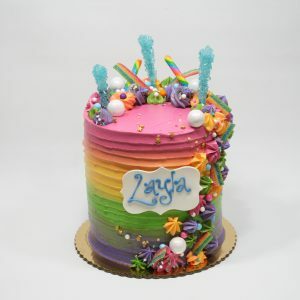 Available with 7 days notice, limited availability with 24 hours notice.